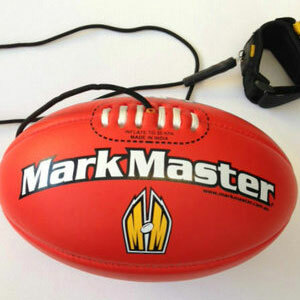 1 x Mark Master Training Ball with Bungee cord and 1 x Football (balls have a slight mark or blemished). 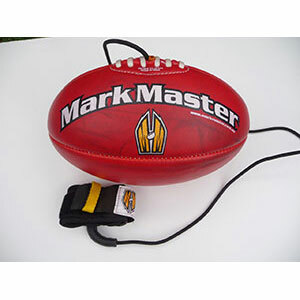 That means you can train by yourself with the Training Ball and when you have friends over, kick the Mark Master Footy without the bungee cord. 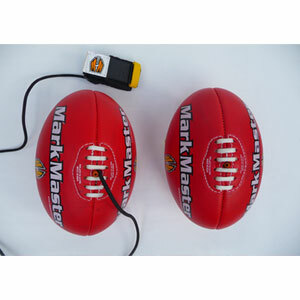 This is a Great Deal and a Gift for any young Aussie Rules Player. 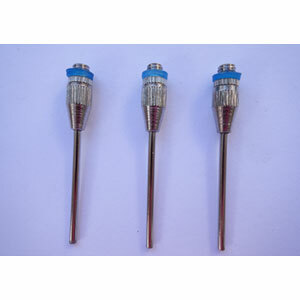 Delivery will be by Australia Post. 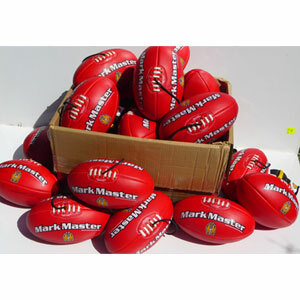 All Training Balls are sent from Randwick, Sydney. So please, allow between 3 to 7 days working day for your footballs to be delivered in your location. 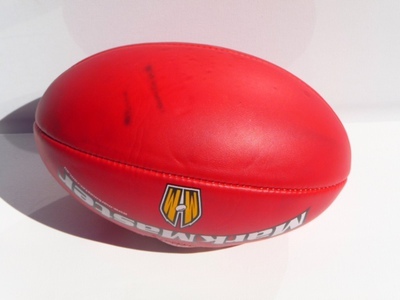 If you haven’t not yet checked out the video of the AFL training ball in action, Please CLICK on the video on the HOME page. This all happens in just a few minutes.. Its Amazing!!! 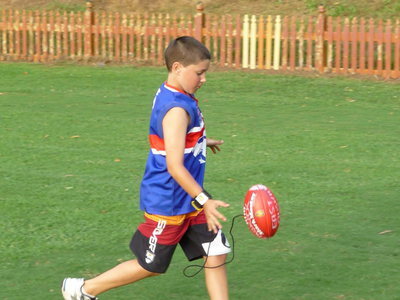 Players should be able to slowly increase their AFL football skills to the level, where they are able to bounce, kick, mark and handball while walking. When a player has mastered these skills while walking, try doing the following skills while running. 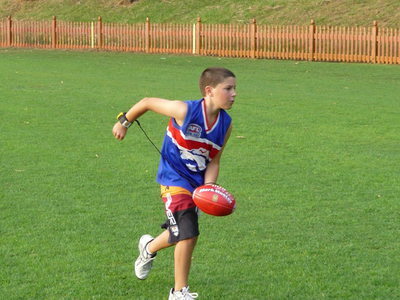 Bouncing the ball, kicking the ball and then marking the ball on the run. 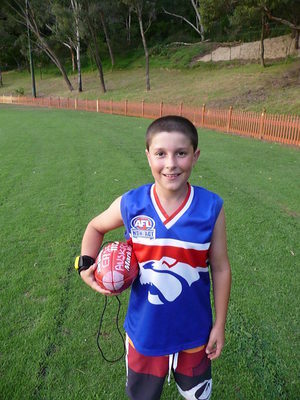 What you can expect to see within 24 hours of using the training football.